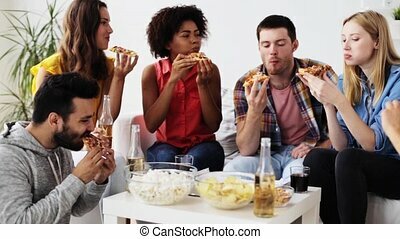 Friends eating pizza and drinking wine at home. 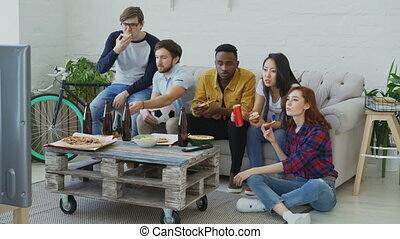 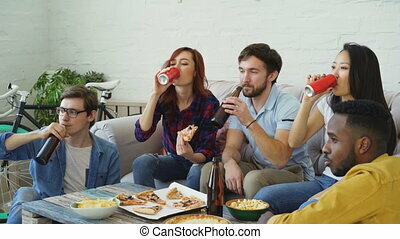 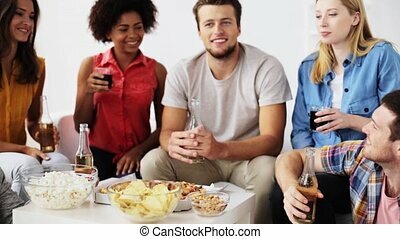 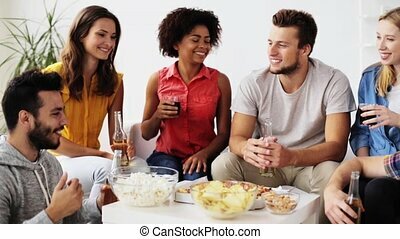 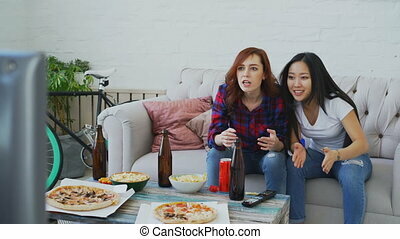 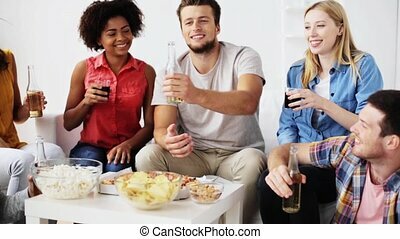 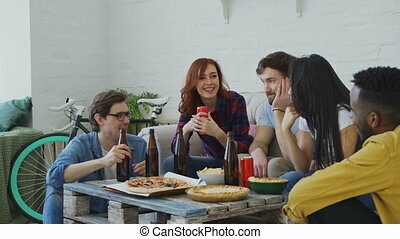 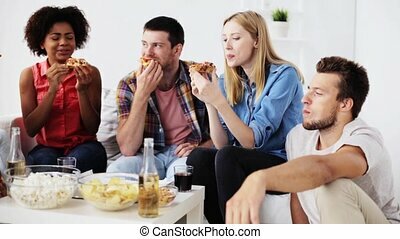 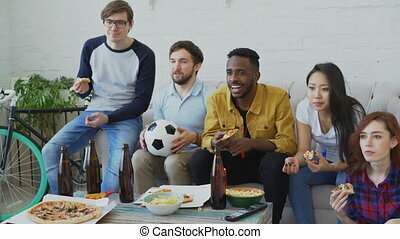 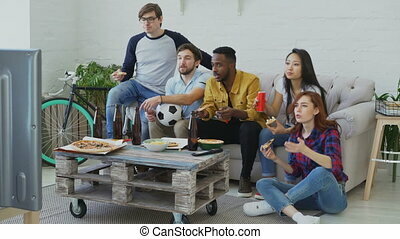 Friendship, food and leisure concept - happy friends eating pizza and drinking non-alcoholic wine and watching tv at home in evening. 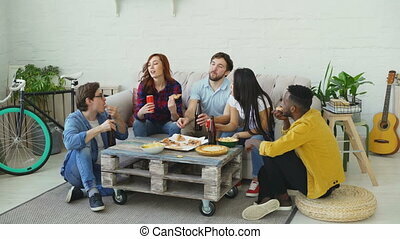 A young family with a son and a daughter eating pizza at home. 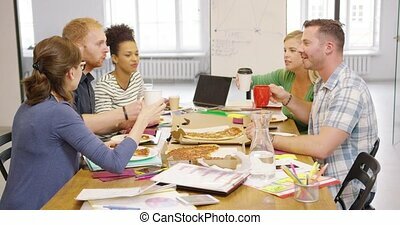 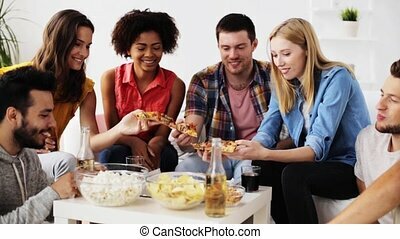 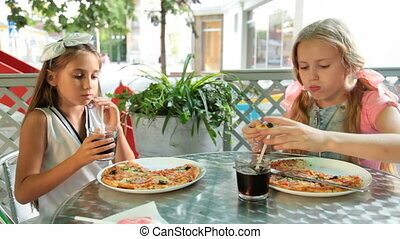 Group of young people in casual clothes sitting at table, enjoying delicious pizza and drinking coffee during break. 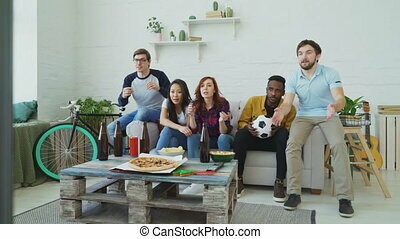 technology, games, entertainment, play and people concept. 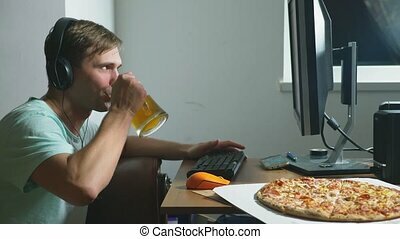 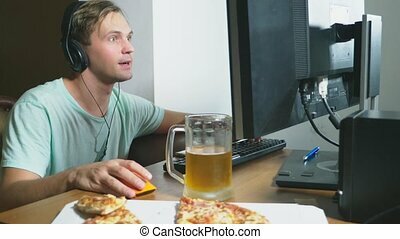 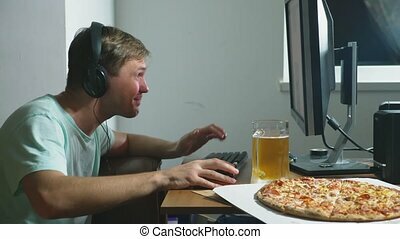 a young man playing a computer game at home, drinking beer and eating pizza. 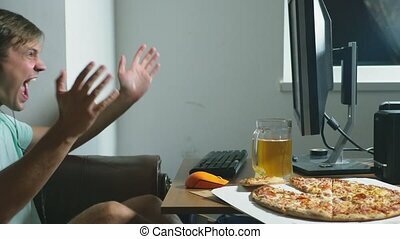 4k, slow motion.